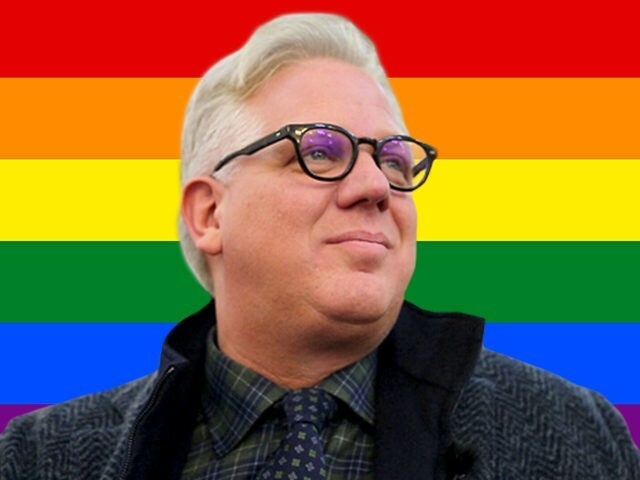 The Blaze founder Glenn Beck wrote on his Facebook page the following impassioned message of comfort to members of the gay community after the massacre in Orlando. We are not gay or straight, not black, white or brown, Christian or atheist. We are all human. Hatred, bigotry, murder is a HUMAN disease. It is experienced by the wealthiest 1% and the poorest 1%. In the all white neighborhood and the black or immigrant neighborhood. East and west, farm or city, north and south, left and right. We must find our way to one another. I will fight for HUMAN RIGHTS, because I do not have anymore rights than you and you must have all of mine and I, yours. Why narrow rights down? “Equal rights!” should be our rallying cry! The only race that I will both defend and condemn is the human race. The color of your skin doesn’t matter nor does mine. I think Penn Jillette is more honorable than some Who claim to be people of faith. I will argue that my daughter should not have to share a bathroom with a man who claims to “feel” like a woman, but I will defend his right to live his/her life as he chooses and I will stand in front of him if someone chooses to persecute him. The Muslims who are crying out to us and our government for help in their own American communities are being silenced by those who wish to control them both Muslim and American. Both left and right. I will not condemn all Muslims as I would not condemn all Germans in WW2. Nor as we did with the Japanese Americans and put them in concentration camps. However, I will always speak the truth. Islam as practiced by the majority of Muslims in the Arab world, who embrace Shariah law is evil and a plague on mankind, woman, children, gay, Muslim and not. Party over another. Nor one race, class or creed over another. Totalitarian tendencies, corruption, and a twisting of God is not in one religion and not others. All of these things are part of the human race. With honor, courage, love, honesty, humility, character, faith in something bigger than oneself and a lot of hard choices and work we can overcome what we suffer from. But only if we unite and help one another. If we look for the best in others and expect it from ourselves. If we turn the other cheek while standing firm in the truth; if we dismiss easy answers and make the difficult choices, we will make it. It will not be easy or popular, but the cure is simple. I will stand in your defense. I will comfort you in the storm. I will make your plight mine as we are all human and an injustice toward you is an injustice to me. Taking a stand really only matters when you link arms with those who don’t share your own viewpoints or lifestyle. That is when it is hard and when it makes a real difference. I cannot unite, however, with those who do not share the same principles and values. I value Truth, Liberty, Life and the right of each of us to be sovereign in our own lives. Those who wish to destroy those values I will stand against you and be immovable even if I stand alone. But if you share the same values even if our ideas, lifestyles, faith or policies are radically different, I will proudly stand with and for you.